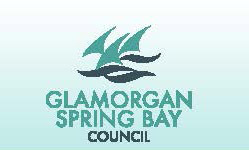 Our Council evolved from the 1993 Local Government amalgamations of the old Glamorgan Council and the Spring Bay Council. Our Municipality area extends from the Denison River at Bicheno to the bottom of Bust me Gall hill at Runnymede. It covers in excess of 2,500sq. kilometres and has a population of approximately 4,220 which can more than double during the summer months. Council Offices: 9 Melbourne Street, Triabunna.